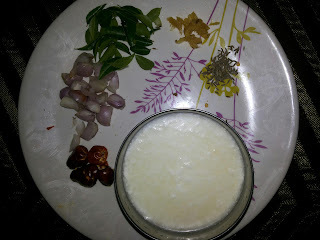 Curd rice is a yummy dish that is the most favourite food for all children and adults. Let us have a look on the nutritional values of curd. Curd boosts digestion and works best for stomach upset. It is a best natural substitute for pro biotic and antibiotics for young children. Curd is also a natural fire extinguisher after a very spicy meal. A small cup of curd will keep your stomach very comfort. It is good for skin tone so you can apply it on your face or on your hair. You will get the soft skin with a healthy glow. It is having high calcium content and good fats. It increases immunity and the defence mechanism of the body. Curd is a good stress buster and great mood lifter. Kootu is the perfect combination of the gourds and lentils, which is popular side dish in Tamil Nadu. Especially this is served in lunch meals almost in hotels and home; A very favourite side dish with white rice, loved to eat by all children and adults; Very comfort to digestive system; enriched with full of protein. 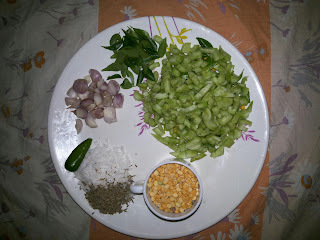 An instant method of cooking of Snake gourd plus split channa dal kootu is posted in this blog today. We already know about snake gourd's nutritional values. Yet we remind once again here. Snake gourd is really a natural antibiotic, expectorant, as well as healthy laxative. 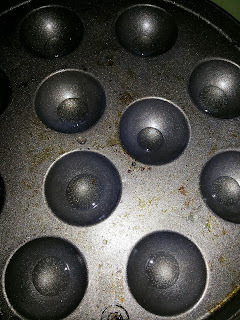 It makes a cooling effect within the body. Moreover it is a natural tonic for heart.